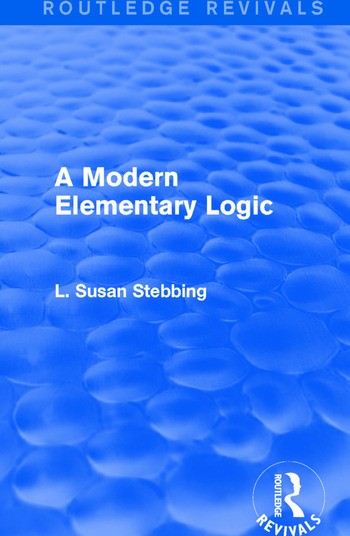 First published in 1943, and revised for this 1952 edition, this book was intended for use by students of philosophy and as such traditional and modern developments in logic have been combined in a unified treatment. The author envisaged this volume as filling a gap for a simple, introductory text on formal logic, written from a modern point of view, unencumbered by traditional doctrine. This title provides a thorough introduction and grounding in the philosophy of logic, and was later revised after the author’s death to correct a number of logical errors — making this edition the most complete version of the work.